We continue to add new features and integrations to our CORE Camera line. 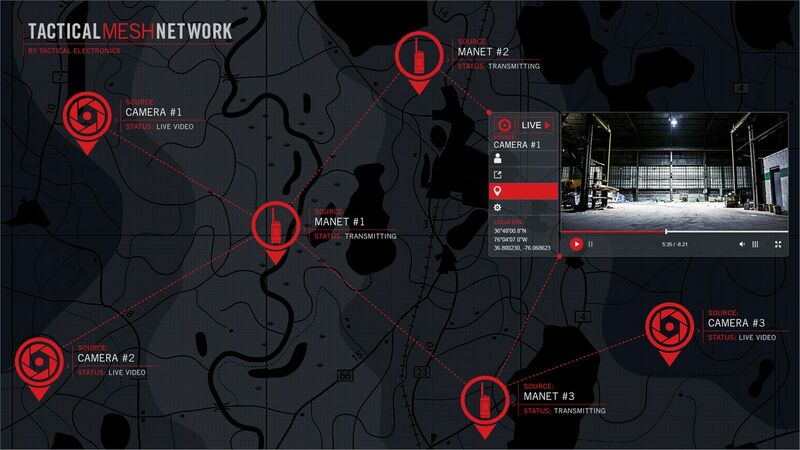 The latest update now allows CORE cameras to integrate with Tactical Mesh Networking Radios. The CORE cameras offer IP-based networking over USB connection. This feature allows CORE cameras to inter-operate with third-party radios that are also IP-based. A USB adapter may be required to interface with the third-party radio (for example, a USB-to-Ethernet adapter, if the radio has an Ethernet port). Tactical Electronics recently demonstrated streaming real-time video over third-party MANET radios from TrellisWare, Silvus Technologies, and Persistent Systems in both point-to-point and multi-hop scenarios. These are relatively high-power (1W – 6W), mesh-network radios capable of transmitting several Mbps of throughput. This integration now allows operators to view secure video from the CORE Cameras during a wide range of tactical operations, anywhere in the world using the compatible radios. If you are interested in learning more about this feature or would like to discuss compatibility with your current radios, please contact us!